All There are 247 products. 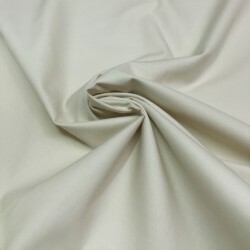 Dyed plain cotton beige. 100% cotton Width 110/112 cm Wash 30°c in washing machine with similar colors No dry cleaning Do not bleach Dip before the 1st use Warning, this cutting is 140cm. 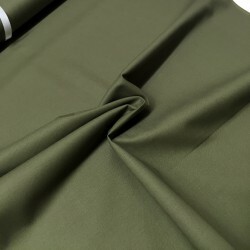 Dyed plain cotton khaki. 100% cotton Width 110/112 cm Wash 30°c in washing machine with similar colors No dry cleaning Do not bleach Dip before the 1st use Warning, this cutting is 48 cm. 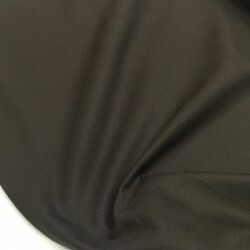 Dyed plain cotton dark brown. 100% cotton Width 110/112 cm Wash 30°c in washing machine with similar colors No dry cleaning Do not bleach Dip before the 1st use Warning, this cutting is 71 cm. 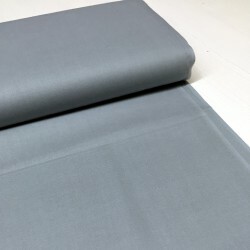 Dyed plain cotton grey. 100% cotton Width 110/112 cm Wash 30°c in washing machine with similar colors No dry cleaning Do not bleach Dip before the 1st use Warning, this cutting is 56cm. Dyed plain cotton grey. 100% cotton Width 110/112 cm Wash 30°c in washing machine with similar colors No dry cleaning Do not bleach Dip before the 1st use Warning, this cutting is 60 cm. Dyed plain cotton red. 100% cotton Width 110/112 cm Wash 30°c in washing machine with similar colors No dry cleaning Do not bleach Dip before the 1st use Warning, this cutting is 48cm. Dyed plain cotton red. 100% cotton Width 110/112 cm Wash 30°c in washing machine with similar colors No dry cleaning Do not bleach Dip before the 1st use Warning, this cutting is 63cm. 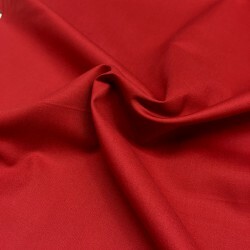 Dyed plain cotton red. 100% cotton Width 110/112 cm Wash 30°c in washing machine with similar colors No dry cleaning Do not bleach Dip before the 1st use Warning, this cutting is 68 cm. Dyed plain cotton white. 100% cotton Width 110/112 cm Wash 30°c in washing machine with similar colors No dry cleaning Do not bleach Dip before the 1st use Warning, this cutting is 62cm. 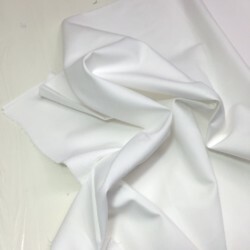 Dyed plain cotton white. 100% cotton Width 110/112 cm Wash 30°c in washing machine with similar colors No dry cleaning Do not bleach Dip before the 1st use Warning, this cutting is 106cm. 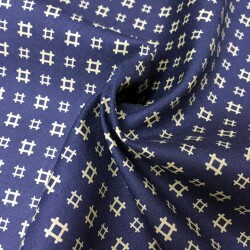 Japanese broad fabric printed with sharps on navy blue background. 100% cotton Width 112 cm Wash 30°c in washing machine with similar colors No dry cleaning Do not bleach Dip before the 1st use Warning, this cutting is 100 cm. 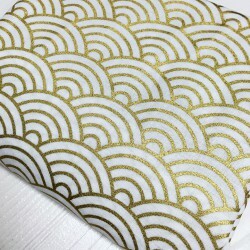 Cotton printed with seikaiha 100% cotton Width 112 cm Wash 30°c in washing machine with similar colors No dry cleaning Do not bleach Dip before the 1st use Warning, this cutting is 100 cm.